Show off your favorite photo. to all of the buttons, functions, and ports. Sports, Holidays, and everything in-between. If you want TEXT added, please include it in the email. SELECT a FONT from the list below. If you want me to use your photo, please make sure it is a good quality image. I use the image that you send me. If it is blurred or of poor quality, your finished item will be the same. I take pride in my work and want you to be completely satisfied, so please select good quality photos. For best results: Digital camera images that are 300dpi or higher will achieve the best results. Some mobile phone photos may not be the best quality. will do my very best to provide a superior product, but some things are just beyond my control. 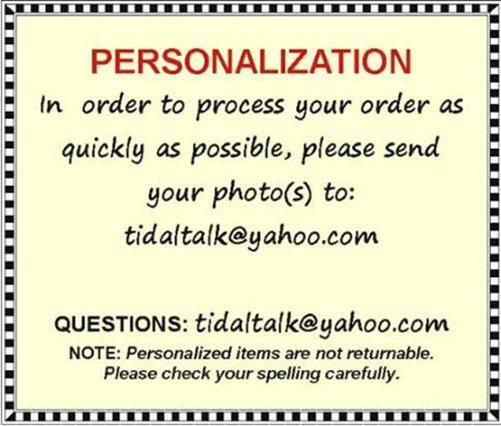 Due to the customization and personalization of this item, returns are not accepted.